Claudio L .Battaglini, PhD, is a Professor of Exercise and Sport Science (Exercise Physiology Specialization) at the University of North Carolina at Chapel Hill. 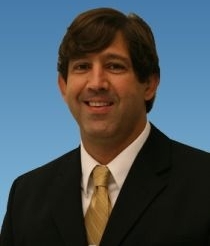 Dr. Battaglini received his BS degree from the Catholic University of Brasilia Brazil (1992) and his MA (1999) and PhD from the University of Northern Colorado in 2004. Dr. Battaglini’s research focuses on the effects of acute and chronic exercise on physiological, psychological, and physical functioning in cancer patients. He directs the Exercise Oncology Research Laboratory (EORL) and the Get REAL & HEEL Breast Cancer Rehabilitation Program and. Over the past 10 years, Dr. Battaglini has published over 180 journal articles and scientific abstracts and 5 textbooks chapters related to exercise oncology. Dr. Battaglini was the 2017 recipient of the Lifetime Distinguished Leadership Award in Sports and Health at Dana-Faber/Harvard Cancer Institute, Harvard Medical Center for his research in exercise oncology, the 2015 UNC C. Knox Massey Distinguished Service Awards and the Office of the Provost Engaged Scholarship Award for Research, 2010 the Tanner Award for Excellence in Undergraduate Teaching and Mentoring presented by the University of North Carolina Chapel Hill College of Arts and Sciences. Prior to Dr. Battaglini’s involvement in exercise oncology research, he was an international level endurance sports coach, with some of his athletes achieving World Champion status, Pan-American Champion status, and Olympic Game appearances. Wood, W.A., Phillips, B., Smith-Ryan, A., Wilson, D., Deal A.M., Bailey, C., Meeneghan, M., Reeve, B., Basch, E., Bennett, A., Shea, T., Battaglini C.L. Personalized home-based interval exercise training may improve cardiorespiratory fitness in cancer patients preparing to undergo hematopoietic cell transplantation. Bone Marrow Transplant. (2016) Jul;51(7):967-72. doi: 10.1038/bmt.2016.73. Epub 2016 Mar 21.